The openly gay Olympian seems to be enjoying the spotlight after his impressive Bronze medal win at the Olympics and is virtually everywhere nowadays. Adam won Dancing With the Stars earlier this year and will serve as a judge on Dancing With the Stars Juniors, and now he’s also entering into scripted television. NBC has confirmed that Adam will appear in a cameo role in season 10 of Will & Grace, but the details of his character is not yet known. In June, Adam was having a blast serving as a celebrity ambassador for Celebrity Cruises’ Pride Party at Sea. 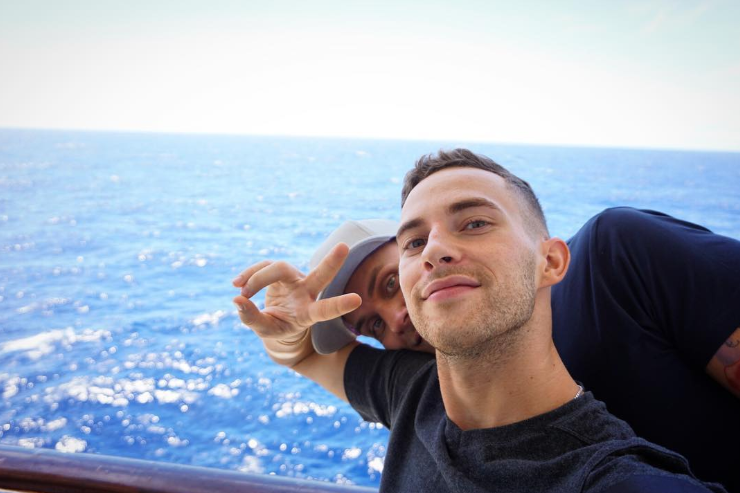 Adam brought his hot Finnish boyfriend, Jussi-Pekka Kajaala, on the cruise and the couple shared the experience with their followers on social media. Adam and fellow gay Olympian Johnny Weir co-hosted a spectacular Pride parade on-board Celebrity Constellation and Celebrity Reflection in Sicily, Italy, and Cartagena, Spain. Adam went public with his relationship with Jussi-Pekka in April 2018. Adam and Jussi-Pekka — who is not a skater — met on Tinder, according to a friend. About a week or two ago, the pair made it official, Rippon says while promoting his upcoming Stars on Ice tour alongside fellow 2018 Olympians including Mirai Nagasu, Nathan Chen and Bradie Tennell. In March, Adam received HRC’s Visibility Award from fellow gay Olympian Gus Kenworthy. The out gay figure skater became our hero during the Olympics, both for his achievements on the ice and for standing up for gay rights. Adam did not only bring back the bronze medal from the Olympics, he also put a powerful spotlight on the current administration’s anti-gay politics by publicly criticizing Vice President Mike Pence. At a gala dinner in Los Angeles, gay skier Gus Kenworthy presented Adam with the Human Rights Campaign Visibility Award. “It was such an incredible pleasure and an honor to stand beside him as two out, proud gay athletes representing the United States,” Gus said. Afterwards, Adam delivered an inspirational speach about being an out gay role model. Adam Rippon was born in Scranton, Pennsylvania, USA on 11/11/1989. Adam Rippon is an athlete. He is best known for winning a bronze medal at the 2018 Winter Olympics as part of the figure skating team event, thus becoming the first openly gay U.S. male athlete to win a medal in a Winter Olympics. He won the 2010 Four Continents Championships and the 2016 U.S. National Championships. Earlier in his career, he won the 2008 and 2009 World Junior Championships, the 2007–08 Junior Grand Prix Final, and the 2008 U.S junior national title. Adam Rippon came out as gay in October, 2015. In a wide-ranging interview with reporter Amy Rosewater in an issue of SKATING magazine, Rippon revealed his sexual orientation. My partner had the wonderful chance to actually meet Eric personally during Skate Canada this past November. Said he was one of the nicest people. LOL! he added ” Eric is really tall, but holy crap! When he puts his skates on I had to stand on tiptoe to serve his coffee! Wishing You the Very Best! 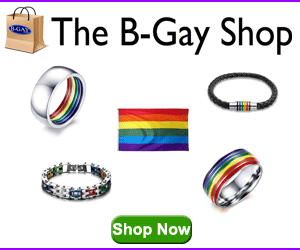 I have come out some but not totatally,I do not think my family knows, but maybe they do. I visited a Steam Bath place 20 minutes ago, and I loved what I saw when I opened the door, lots of guys with towels around their waist, looking at me, I just wanted info on it, but I want to get nice and clean, wondering if they supply condoms, or if I should bring my own, I want to go back so bad, thanks for listening to me.